Although Emanuel and Liebman were foolish to predict most ACOs would quickly evolve into successful insurance companies, they shared with all other ACO advocates the understanding that that’s what ACOs are supposed to do – over time they’re supposed to bear more and more financial risk. It’s just never been clear how much financial risk ACOs were supposed to take on. The Affordable Care Act, for example, which authorized CMS to establish an ACO program within Medicare, did not address that question. A reasonable interpretation of statements and papers by ACO proponents is that they expected a substantial portion of ACOs to morph into insurance companies. 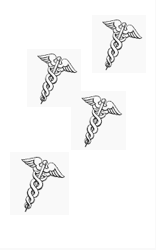 According to an early paper by several prominent ACO proponents, including Elliott Fisher, ACOs were expected to accept more risk in three stages: In stage 1 they would accept only upside risk (the opportunity to share in savings if they stayed under a target spending level); in stage 2 they would accept both up- and downside risk; and in stage 3 they would accept full insurance risk (they would no longer be paid fee-for-service, but would instead be paid “capitation” payments, aka premium payments), and would, therefore, have to set aside reserves. Presumably stage 3 ACOs would also have to be licensed by the insurance regulators in the states where they operate. The failure of the Medicare ACOs to cut costs and to evolve past stage 1 presents CMS, Congress and the Medicare Payment Advisory Commission (MedPAC) with difficult questions: Why are the ACOs failing to cut costs, and what should be done about the Medicare ACO program if it continues to spin its wheels? A level playing field for ACOs and MA plans? The rational approach would be to conduct studies of ACOs to determine what interventions they use and whether those interventions save money after taking into account the cost of the interventions. (In a sane world, this would have been done before ACO proponents lobbied Congress to endorse ACOs, but we’re talking managed care here, and due diligence is never done prior to the launch of managed care fads.) But MedPAC has never done that, and no one else has either. The extremely rare studies of the activities of particular ACOs merely demonstrate the axiom, “If you’ve seen one ACO you’ve seen one ACO.” The cause of this information vacuum is the flabby definition of “ACO” and the inexplicable failure of ACO proponents to address the question, What is it ACOs will do that the insurance industry hasn’t already tried? The commission began discussing this approach at their September 12, 2013 meeting. MedPAC staffer David Glass began the discussion with this question: “[D]o we want to move to a level playing field across traditional fee-for-service, ACOs, and MA?” (See page 73 of the transcript .) The ensuing discussion indicated the answer was yes. The commission continued their discussion at their November 7, 2013 meeting by which time they were using the word “synchronization” to describe their goal of harmonizing the payment rules for all three programs. The commissioners agreed early on to let a long-held principle they call “financial neutrality” be their guide. “Financial neutrality” means Medicare should pay the same amount for a given enrollee regardless of which of the three Medicare programs the enrollee winds up in. Over the next four years they discussed whether a proposal called “premium support” could achieve financial neutrality. “Premium support,” first proposed in the 1990s, would give Medicare beneficiaries a voucher useful only for the purchase of health insurance. Under the version MedPAC studied, Medicare’s FFS program would be treated as a “plan” that would compete with ACOs and MA insurers. Beneficiaries could use their voucher to buy insurance from one of the Medicare ACOs, one of the MA plans, or from the FFS program. The financial neutrality requirement would be met because the value of the voucher would be the same regardless of whether the beneficiary used the voucher to buy insurance from an ACO, an MA plan, or the FFS program. The first sign of how impossible it would be to build a level playing field for the ACO, MA and FFS programs was the commission’s unannounced and unexplained decision to pull the ACO program off the table, leaving only the FFS and MA programs in the financial neutrality, premium support discussion. This decision was implied rather than stated in MedPAC’s June 2015 report with this cryptic, parenthetical remark: “Because beneficiaries in ACOs are part of FFS Medicare, only two of Medicare’s payment models – FFS and MA – were relevant to the analysis of premiums.” But even with the complex ACO program off the table, the staff and commissioners still could not solve the multiple issues that had to be resolved to put the FFS and MA programs on a level playing field. By the time the commission issued its June 2017 report, it was clear they were giving up even on the simpler FFS/MA premium support idea. The issues they would have had to solve to synchronize the payment rules for just those two programs were too numerous and too complex. If I had to rank, by degree of intractability, the multiple issues that thwarted premium support, I would rank risk adjustment number one. Throughout the 2013-2017 period during which MedPAC discussed premium support, staff and members asserted over and over that accurate risk adjustment was essential to its success. And yet even after publishing a chapter in their June 2014 report stating accurate risk adjustment is not possible, they kept discussing premium support. That chapter reported that CMS’s hierarchical condition categories (HCC) risk adjuster is so crude it vastly overpredicts the cost of (overpays for) healthy seniors and vastly underpays for sicker seniors (see the table in my comment here ). That chapter also reported MedPAC does not know how to improve the HCC adjuster’s accuracy. Inaccurate risk adjustment wasn’t the only mind-bending problem premium support presented to the commission. Drawing arbitrary boundaries around “markets,” “attributing” patients to ACOs, and, starting in 2015, figuring out how MACRA meshed with premium support are other examples. (I suspect the enactment of the absurdly complex MACRA was the reason MedPAC dropped ACOs from the financial neutrality discussion in 2015. The imposition of MACRA on the FFS program changed what was already an impossibly complex discussion into an insanely complex discussion.) But no other problem was so intractable and so fundamental. Without an accurate risk adjuster, effective competition between entities paid a set fee per enrollee is not possible. Any system that underpays for the sick and overpays for the healthy will induce many players to “compete” by avoiding the sick, and those who refuse to “compete” in that fashion will suffer loss of resources, which will in turn harm their sicker and poorer patients. The good news about MedPAC’s four-year struggle to think through premium support is that it clearly showed that real competition among and between ACOs and insurance companies is not possible. The bad news is that policy-makers are not paying attention. At the federal level, the Trump administration made statements last week suggesting they are eager to impose some version of premium support on Medicare and Medicaid. At the state level, the experiment with Medicaid ACOs continues at full throttle. Minnesota is one of the states that inserted ACOs into its Medicaid programs shortly after the Affordable Care Act elevated the ACO from obscure idea to stardom. Under the authority of legislation enacted by the Minnesota legislature in 2010, the state’s Department of Human Services (DHS) started a Medicaid ACO program in 2013, just one year after CMS implemented its Medicare ACO program. Although Minnesota’s Medicaid program had long ago been turned over to HMOs, it didn’t occur to state legislators or then-governor Tim Pawlenty to ask why Medicaid needed ACOs in addition to HMOs. DHS is finally getting around to asking a version of that question. In November of 2017, DHS posted a proposal that seeks to harmonize the HMO and ACO payment rules. (The proposal ignored the small FFS sector that remains within Medicaid.) In my next post, I will discuss DHS’s proposal, the comments DHS got back, and DHS’s reaction to the comments. The dialog between DHS and the public is similar to the four-year conversation MedPAC had about premium support. The same mind-bending issues arose, and at this date it appears that none of the major, must-solve issues are going to be solved. I am a Pediatrician. I Treated the Columbine Kids. I Have Not Spoken Out Before. I sure don’t know what all the reasons are. What are they?